JuE Wong is not one to back down from a challenge. As CEO of Strivectin from 2012 to 2015, she led a turnaround of the private equity-held skincare company ahead of schedule. The success propelled her to become president of Elizabeth Arden and the Red Door Spa, where she spent two years turning around the company’s presence in all distribution channels. In October 2017, Wong was recruited to become CEO of MoroccanOil, a $600-million brand specializing in hair and body care. When she joined MoroccanOil, her vision for the company was: Optimize growth without mortgaging the future. 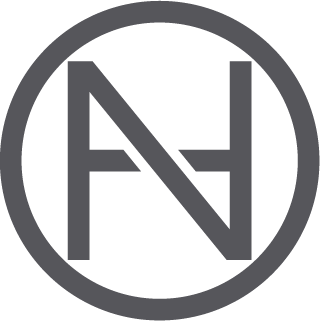 “Essentially, this means driving strategic brand growth with an omni-channel approach. This will incorporate three key distribution channels that each play a critical role in propelling the business forward to generate: credibility through our professional distribution channels, equity through our retail distribution, and revenue through our online and social commerce platforms,” she told a reporter. 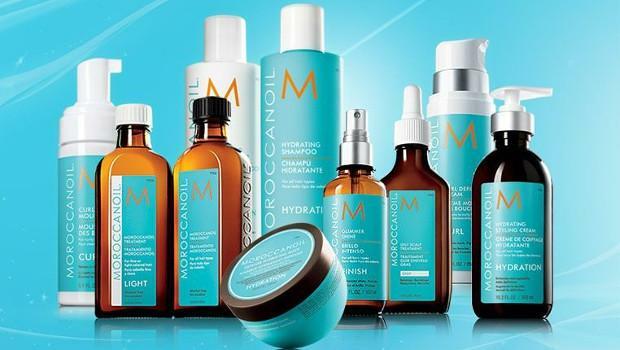 MoroccanOil was founded in 2006 by a Montreal-based salon owner, Carmen Tal. She was traveling in Israel where she had an unfortunate experience in a salon. Looking for a fix, she chose an Argan oil treatment from an Israeli company that was importing the product from Morocco. Thrilled with the results; with her then-husband, Carmen bought the Israeli company to bring Argan oil to the US. One of the areas MoroccanOil has thrived is in travel retail with presence in airports, duty-free shops, cruise ships and border shops. But Wong is focused on driving the digital transformation; which, in her words, includes e-commerce, website, social media, digital innovation and media buying. The conversation will include JuE’s plans to transform Moroccanoil into a more sustainable brand with an environmentally-conscious future. In addition, she will also discuss the brand and product line, growth opportunities and the challenges ahead for MoroccanOil. JuE Wong has been the Chief Executive Officer of MOROCCANOIL Inc. since October 11, 2017. Wong leads MOROCCANOIL’s Corporate Social Responsibility & Sustainability. 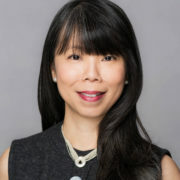 She has a robust track record of propelling emerging brands to the mainstream while globalizing established brands including Cargill Inc., PepsiCo, Dial Corp., Murad Inc., NV Perricone MD Ltd.
Wong served as the President of Elizabeth Arden Brand at Elizabeth Arden, Inc. from August 3, 2015 to March 31, 2017. She served as the Chief Executive Officer of Astral Health & Beauty at CosMedix, LLC. She served as the Chief Executive Officer of Strivectin Operating Company, Inc. since July 10, 2012. She served as the Chief Executive Officer of Astral Brands, LLC since August 2009 and oversaw Astral Brands’ three channel-specific brands: Aloette Cosmetics (franchise model-direct to consumer), Pür Minerals, Inc. and CosMedix, LLC. She has served on the Boards of the American Heart Association and the Atlanta Chapter of the YMCA. Ms. Wong holds a B.A. with Honors from The Australian National University. Pauline Brown is the former Chairman of North America at LVMH Moët Hennessy Louis Vuitton, where she provided regional leadership for 70 brands in 5 sectors, including fashion, cosmetics, jewelry, wine and specialty retail. In 2016, she left the corporate world to join the faculty of the Harvard Business School, where she introduced a course, called “The Business of Aesthetics.” She currently is writing a book based on that topic, which will be published next year by HarperCollins. 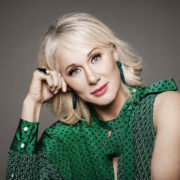 In addition to teaching and writing, Pauline also hosts a weekly lifestyle show on SiriusXM, called “Tastemakers,” on which she interviews creative and cultural leaders, innovators and influencers. Earlier in her career, Pauline held senior executive roles at The Carlyle Group, Estee Lauder and Avon. She began her career as a Management Consultant at Bain & Co. Pauline received a B.A. from Dartmouth College and M.B.A. from the Wharton School.